Haast's eagle try to capture it's prey the moa. Legend about huge flying bird from native stories not just a myth. Few species of giant flying birds did exist not long ago. Even though they were not killed directly by men, but fighting with men over the same food source can be a bad thing too. Haast’s eagle (Harpagornis moorei) is another giant birds that just extinct few hundred years ago from its native area, New Zealand. 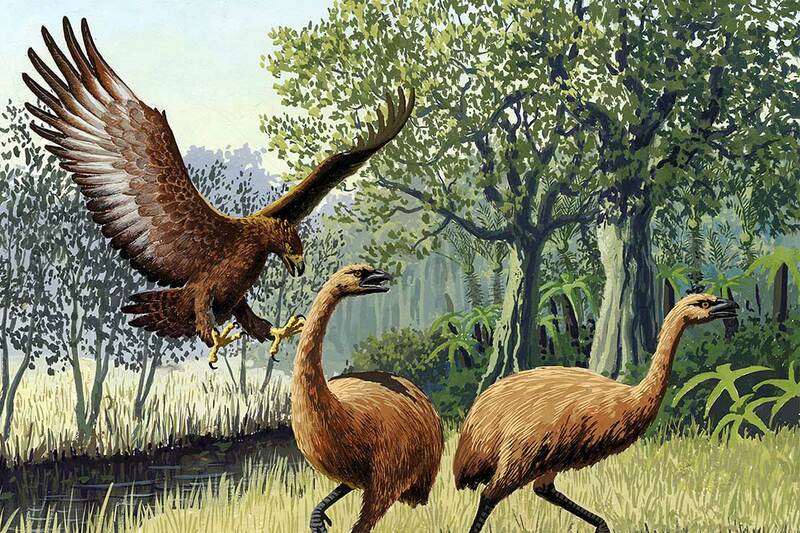 This giant bird has remained as a legend for Pouakai and Maori people until the truth was discovered. The restoration of the skull. Haast’s eagle became extinct around 1400 AD when their primary food resources had been hunted by the first Māori that came to the South Island of New Zealand. Compared to men that can easily change their food source, the Haast’s eagle had vanished together like their prey the moa. 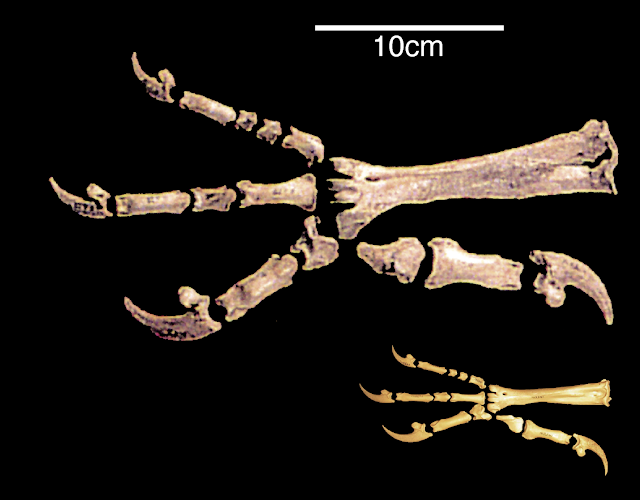 The size of Haast’s eagle was even larger than the largest living vultures so it also the largest known true raptors. With the size of females were significantly larger than males, the weight of females were estimates to be in the range of 10–15 kg (22–33 lb) and males around 9–12 kg (20–26 lb). 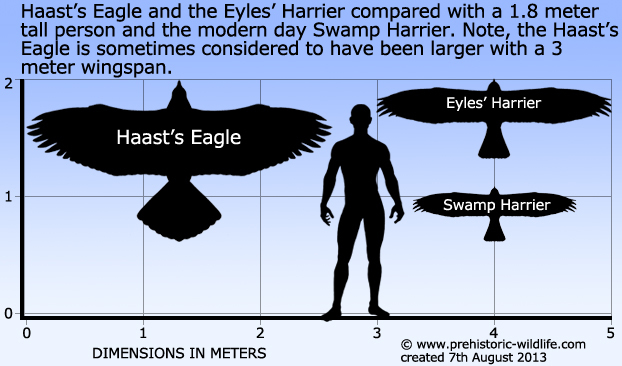 The different in size between the size of Haast's eagle and its closest living relative, the little eagle. 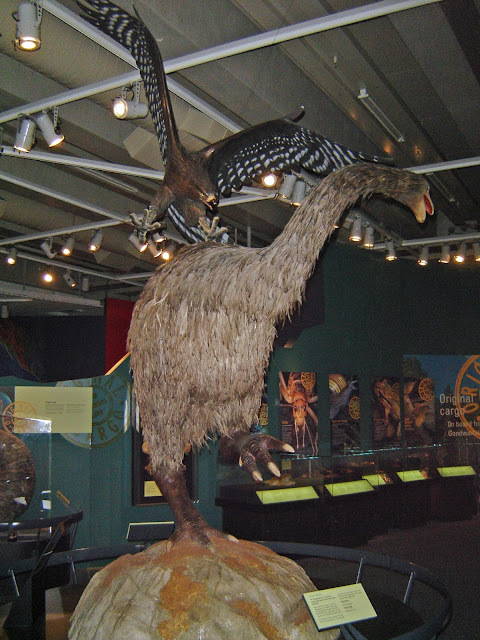 The model of Haast's eagle attacking a moa at Te Papa. The main food sourced for the Haast’s eagle was the large flightless bird species known as moa, with body weight can reach up to fifteen times the weight of itself. 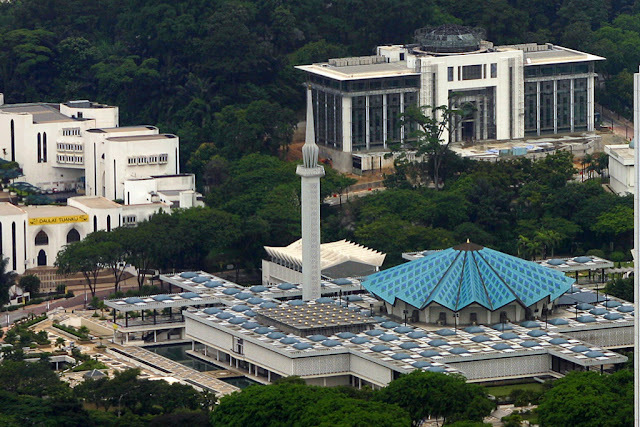 The eagle was able to kill the giant bird by swooping it at the speeds up to 80 km/h (50 mph).